Big series coming ahead for the Champions trophy winners Pakistan in 2018. 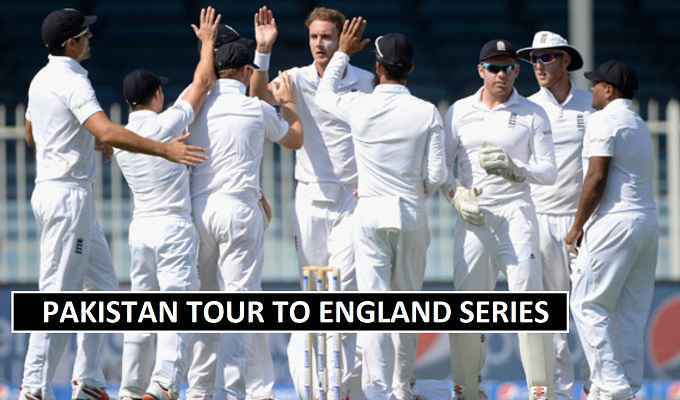 After Ireland series they will play a series based on two test matches against England. Pakistan who ranked world number 1 in test ranking drop down in ICC rankings at 7th position. The team of Pakistan suffer back to back defeats that totally impact the rankings. The first test match will take place at Lords and 2nd test at (Leeds) stadium. England most impressive side in the test format. They have white-washed Pakistan cricket team in previous test series in UAE last summer. Sarfraz Ahmed will feel the pressure its away series for him, his record against England in test is not pretty strong. England have top batting order that damage Pakistan bowling line-up based on Mohammed Amir, Hassan Ali, Shadab Khan. Both of the two test match telecast on PTV sports in Pakistan. England cricket fans can enjoy the test match on channel (Sky Sports). The 2nd test match will began in the month of 1st of June and 5th June is the final day of the test match. Alastair Cook hopeful for a comfortable win over the vistors.